When it’s simply too wet and too cold for little people to play outside, bring the outside in. 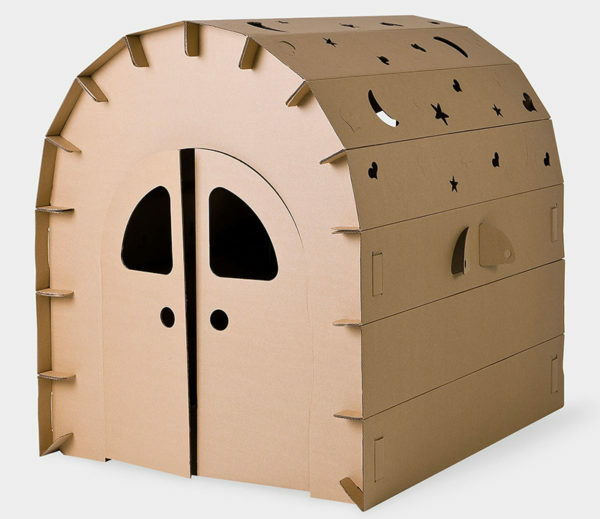 Kids of all ages will enjoy crawling in and out of this cardboard cubby – over and over – all winter long! A playtime delight for small children with big imaginations, the Miley DIY House ticks all the boxes for a sweet indoor play space. Igloo-esque (admittedly, a term I made up) in design, its curved roof features cute stars, moon and heart cut outs for light (and fingers) to peek through. 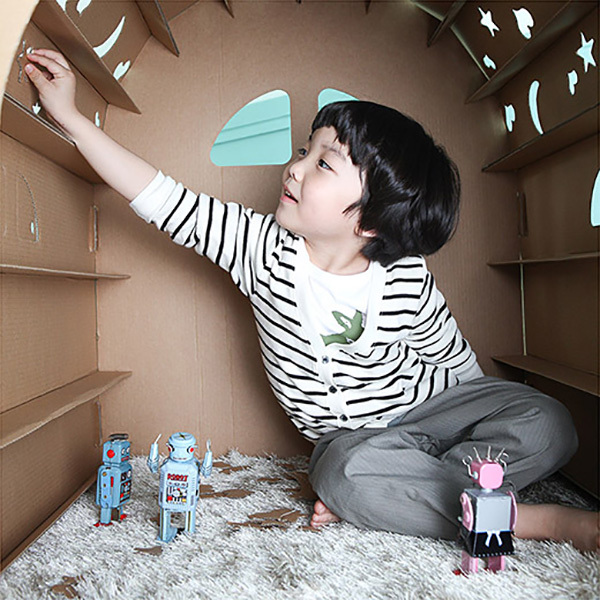 Designed by Jaewon Kang and Sooyoung Yoo, the Miley DIY House is built from corrugated cardboard and is designed to withstand all the playtime antics kids can throw at it. And we’re willing to bet that’s a lot. When not being played in, this cubby can store (hide) toys, but can otherwise be collapsed flat and packed away. For your very own cardboard hideaway, you’ll find the Miley DIY House available for sale at MoMA Design Store, priced US$55.